Movies and Trivia – I Already Have a Watch. 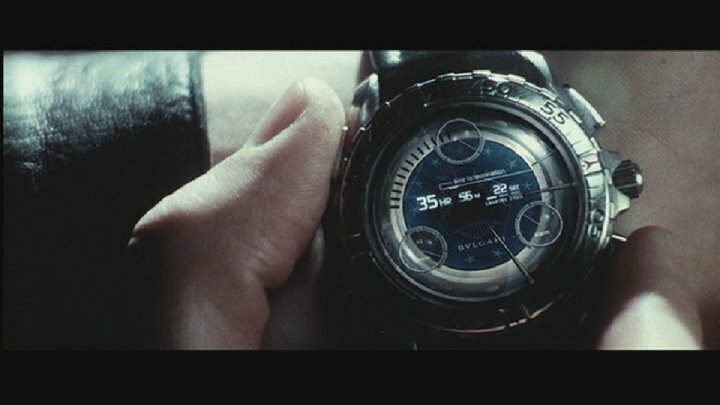 Omega’s X-33 has made two known Hollywood movie appearances. As described previously, Omega had extensively marketed the X-33 as the “Mars Watch” which was ostensibly designed for an (eventual?) 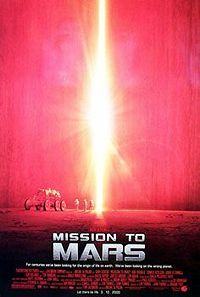 mission to Mars. 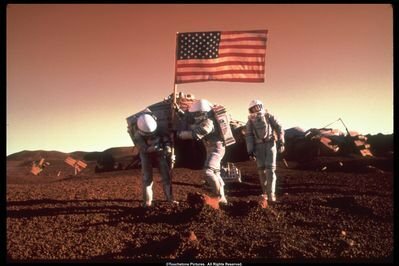 The reasons for such were never quite clear to space enthusiasts as NASA’s proposed X-33 vehicle was never even intended for a mission to Mars; in fact, neither the X-33 nor VentureStar was ever intended to be capable of flight beyond Earth orbit at all. 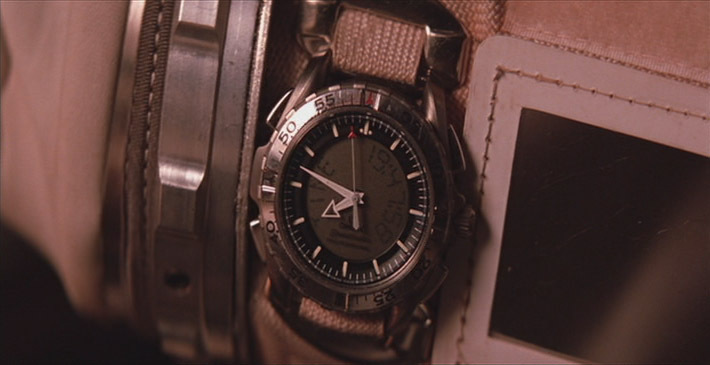 And while Omega might have been optimistically proactive in designing wristwatches for some as yet unimagined potential future mission, the notion was so fanciful that creating watches for such a mission was a premature step to say the least. It is generally assumed that Omega simply hoped to latch onto prominent product placement marketing in the 2000 movie “Mission to Mars” and hope they could get away with the continued association (and optimism) in the minds of consumers. 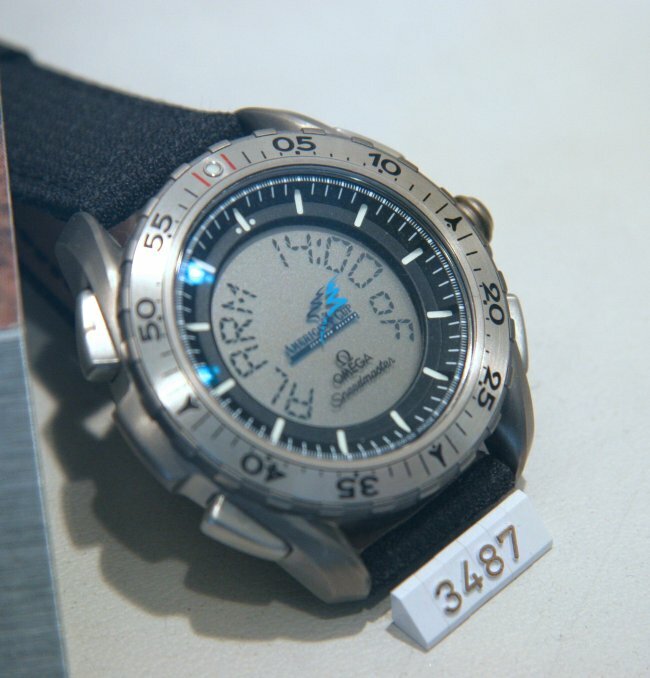 The Omega Speedmaster Professional X-33 also had a famously uncredited (and unpaid!) cameo product placement role in the 2002 movie “Minority Report” starring Tom Cruise and directed by Steven Spielberg. 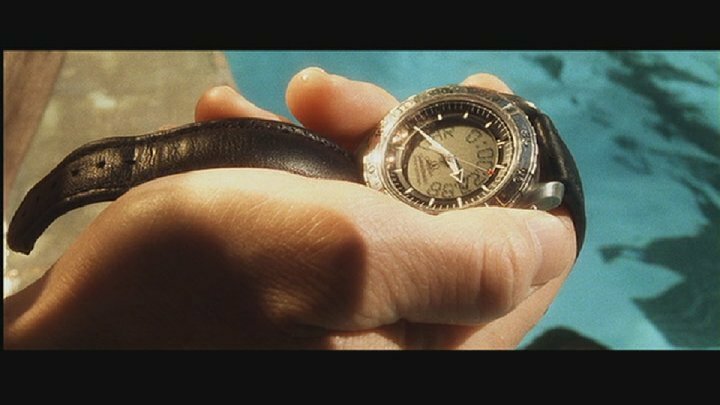 Several important plot points hang upon countdown timing from protagonist Chief John Anderton’s wristwatch and apparently the producers wanted an especially futuristic-looking watch for the conspicuous role. The existing Gen 1 X-33 (the Gen 2 version had been released by the time of the premiere but the Gen 1 was the most easily available during production) was of course a logical basis with its already very modern-looking appearance, especially if it were to be even further enhanced with CGI special effects. However, for reasons that are still not well established the watch was modified to appear as if it were a Bulgari product. 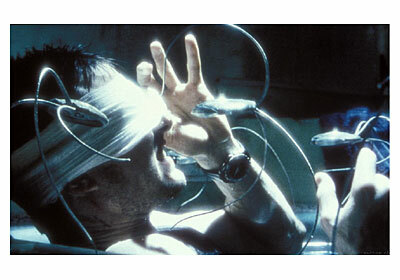 Perhaps Bulgari simply won a product placement bid or perhaps Omega was simply never consulted about the modification. Or perhaps Omega would not agree to the CGI modification of their product, preferring instead to publicize an actual retail model vs. a fictitious watch consumers could not purchase in stores. 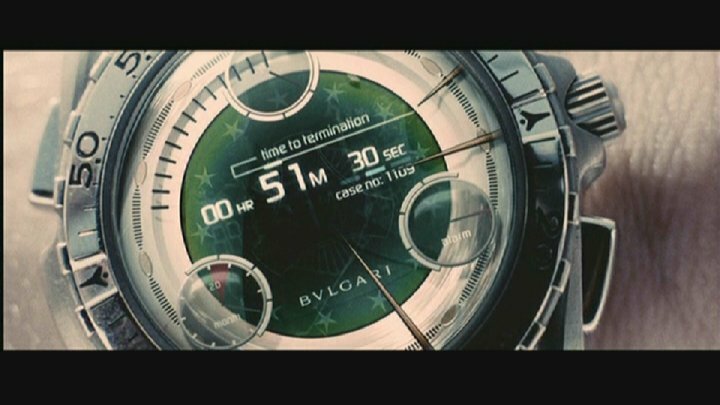 In any case Bulgari seems to have been entirely willing to go along with the deal and in the final production “Bulgari” was CGI-printed on the modified dial display. 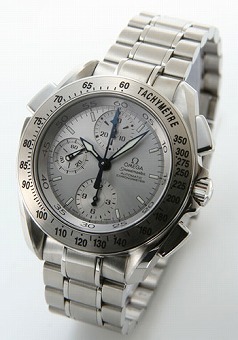 It was later rumored that Omega/Swatch Group sued the studio over the transgression. While the outcome was never publicized the matter was likely quietly settled behind closed doors. Very clearly an X-33 here. Sorry, Bulgari. In addition to the case, crown, and pushers being designed to accommodate gloved hands to facilitate in-flight use by pilots and astronauts, the layout of the LCD readout on the X-33 was carefully chosen to allow at-a-glance reading without removing hands from flight controls. The chosen configuration displays the digital time right side-up with the left hand still on the throttle. Undocumented feature: many of the X-33’s functions can be set/reset by pushing and holding the crown for three seconds rather than pulling it out as described in the manual. This makes it easier to set the functions while the watch is worn on the wrist, and is especially useful when wearing gloves or in environments where water/dust/debris could enter the case through the open crown. It is especially useful on the Gen1 X-33, on which the crown design made it somewhat more difficult to grip and pull than on the Gen2. A seldom-seen version of the X-33 (PIC 3991.50.09) was sold on a green Kevlar strap with a deployant buckle in 2002 for the Japanese market. The OEM green strap is also among the choices offered to military purchasers and remains available separately from online merchants like Otto Frei. In 2002 a special version of the X-33 designated PIC 3992.50.06 with a special version of the movement cal. 1666B with analog hands omitted was presented to the Omega-sponsored defending champion Team New Zealand for the 2003 32nd America’s Cup yachting race. This version was never sold commercially and only 12 examples were made, 10 of which were presented to the crew and 1 of which now resides in the Omega Museum. Omega was already marketing several other mechanical Seamaster America’s Cup models with yachting-specific features, but apparently the crew insisted on a digital timer for the race. Omega was rumored to have only relented after the crew otherwise would have insisted on wearing Casio G-Shocks. The team is also known to have previously used the unmodified regular production X-33 as early as 2000. Special “America’s Cup” X-33 made exclusively for Team New Zealand. Note the “America’s Cup” logo in the center and the lack of analog hands. 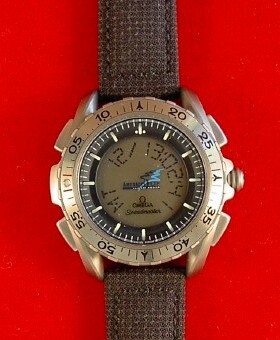 Gene Cernan, the former Apollo Astronaut, author of The Last Man on the Moon, and current Omega corporate board member is reputed to wear his X-33 daily. The pushers and bezel are not titanium but actually satin-finished stainless steel brushed to match the finish of the titanium case. The 120-click rotating bezel means that the bezel can be precisely alligned to the mintue hand’s half-minute jumps. While convenient, this seemingly useful feat of integration is perhaps something of an accident of design as most modern Omegas also have 120-click bezels. The outer index chapter ring of the dial is “dished” at an upward angle for a very deliberate reason – to reduce problems of parallax or offset viewing when the dial is viewed from different angles. Ingenious, isn’t it? The outer index chapter ring also has 1/5 second graduation markings that are essentially pointless on a quartz watch with a second hand that moves in 1-second increments. Not as ingenious on a watch with an otherwise utilitarian and functional design. 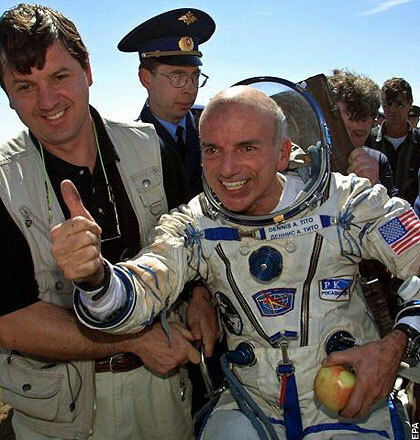 On April 28, 2001, the first paying “space tourist” Dennis Tito wore an Omega-provided X-33 during his $20M, seven-day trip to the ISS. Except that for the pilot (left seat), the throttle is usually operated with the right hand, since it’s in the centre. The orientation of the display is great if you’re holding a steering wheel, or a plane’s yoke that has the “arms” angled inwards, but wouldn’t help much if your hand is on a centre- or side-stick, since you’ll just be looking at the buckle. While your observation is true for some pilots in the civilian and military transport sector, the pilot group (as well as astronaut group) consulted were military. For most military aircraft, in TAC-Air predominantly, our throttle(s) are in our left hand and the digits would be easily read with a left-hand forward facing grip.